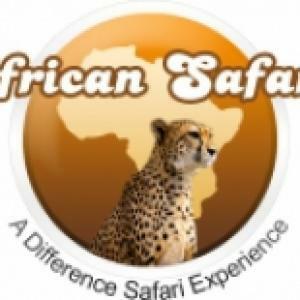 Africa Venture Safaris was started and founded by the Director Nancy Yogo, who for her love of tourism and traveling to different parts of Kenya, and also with the knowledge of studying tourism and travel in college after school, started to start her own company after working for one of the tours company in Kenya. Nancy as ventured a lot in Kenya Tourism and because of these passion that is why Africa Venture Safaris has grown to a incredible top safari companies in Kenya. With over 30 staff, including tour guides, Africa Venture Safaris has daily departures to different national parks. Our travel partners country wide enjoys the best partnership with us as we handle there clients with the best services to offer. Kenya is a beautiful country and it has a lot to offer in terms of Tourism. Most of our revenue comes from tourism and these is the main reason why we as a country and particularly as members of Africa Venture Safaris preach and shout NO to poaching in Kenya. We want us to grow as a county and poaching is one of our downfall as a country. As we speak , we only have one Northern male white Rhino remaining “SUDAN”, so if we don’t protect these species then that will be the end of the white Northern Rhino’s and there will be no male to mate the females. And as you know more attempts have been tried even with the artificial insemination, but still no success. As like Africa Venture Safaris, we always try to get our clients to visit the Olpejeta Conservancy and see these miraculous tale of the Northern White Rhinos who are highly protected by armed rangers 24/7. We have a list of tailored itinerary safari packages that we have designed as a company to best suit our clients while planning for a safari holiday, so whether you are a family with small children, group of friends panning a trip, solo travelers with no group to join, we are always here to offer you the best options for your safari holiday trip while in Kenya. For solo travelers, we have daily group safari s=departures that you can join . Our Mount Kenya tours and trips and handles and led by our top professional tour Mount Kenya tour guides.